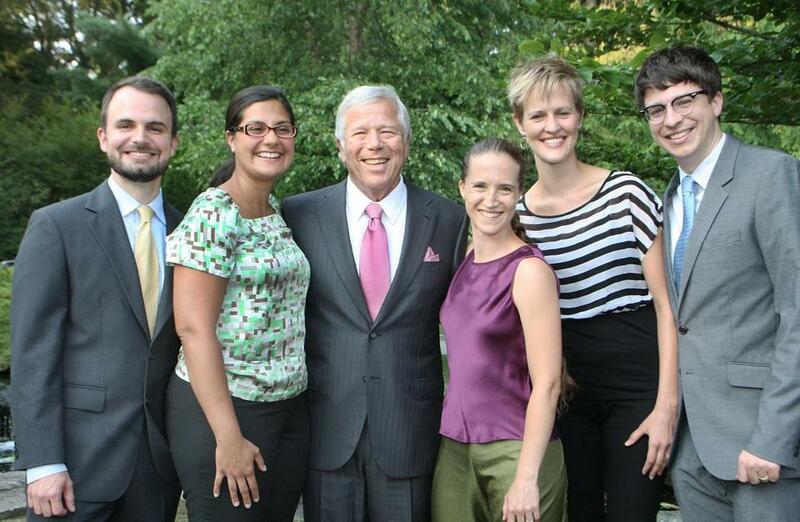 From left: Dr. Joseph Joyner of Boston, Dr. Genevieve Daftary of Cambridge, Robert Kraft, Dr. Talya Salant of Newton, Dr. Kate Hobbs Knutson of Boston, and Dr. Ian Huntington of Cambridge at Kraft’s party last night. Patriots boss Bob Kraft hosted a party at his home on Tuesday night to celebrate the launch of the Kraft Center for Community Health at Partners HealthCare. His guest list included the first participants in the program, who will work in community health centers to help low- and moderate-income people get the care they need.